Recycle Now! 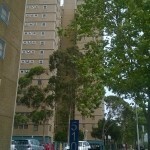 – an exciting, MMWG grant-funded project targeting the installation of a brand new recycling service to three large government housing developments in Carlton and North Melbourne. The residential tower blocks were built in the 1960’s – long before anyone was seriously recycling domestic waste products. 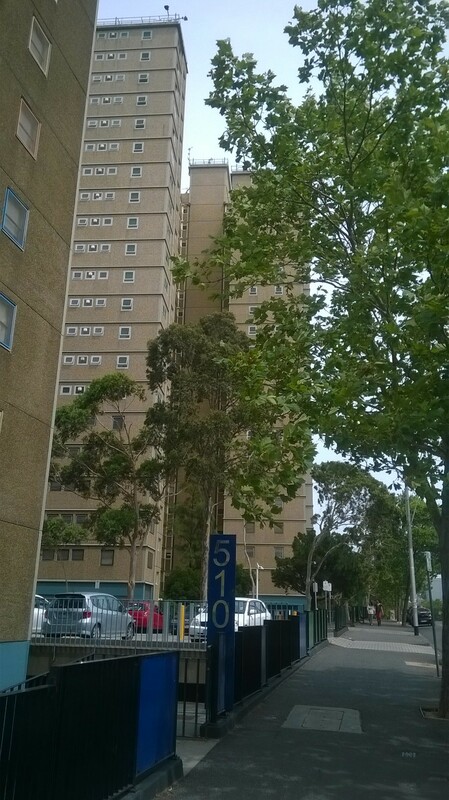 These tower blocks were built with internal ‘garbage chutes’ feeding huge skip bins at first floor level; everything and anything was being taken to landfill! Melbourne City Council and EnviroCom have worked with these three developments which now have recycling bins installed in their foyers and an engaged and inspired community filling the bins with beautiful clean recycling! The key to the success of this program was recognition that installing the bins alone would not be enough to deliver real diversion results. 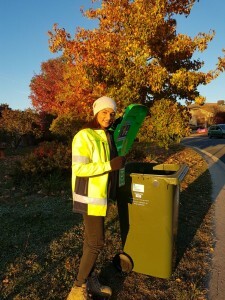 In April 2015, EnviroCom embarked on a program of ‘champion’ recruitment, aimed at marshalling volunteers for the local (mainly migrant) community to become the champions of the soon-to-be-delivered recycling bins. These volunteers, after attending a series of workshops, then door knocked every apartment on every floor, introducing the new system and providing residents with information on how to use it. A series of school incursions, tours to the recycling plant and a celebration party then followed. This successful program will hopefully provide a blueprint for the delivery of successful recycling programs in other similar housing developments. EnviroCom”s curriculum development team was commissioned to develop resources for the population serviced by Sydney Water that would improve understanding of the scientific processes and social services delivered by desalination. The units of work ( for Grade 7 multi-curricula, Grade 10 Science and Grade 10 Geography) included a series of lesson plans specifically targeted to each year level and subject area, designed to link with the Sydney Water Desalination Virtual Tour, additional existing educational resources and the National Curriculum. The units of work are available via a free download for teachers via the Sydney Water website. On behalf of SEQ Water (formerly WaterSecure) EnviroCom developed two units of study, ( designed to link with SEQ Water’s existing virtual tours, fact sheets and multi-media resources), on desalinated water and purified recycled water in South East Queensland. Targeting Grade 7 and Grade 10 Science and Geography students the resource incorporated a range of lesson plan outlines and student activities linked to the National Curriculum. The units of work are available as a free resource for teachers via WaterSecure’s website. A facilitated workshop for teachers and other stakeholders was the mechanism to determine the demand for and preferred content and format of a koala conservation resource for schools in Redland, in the heart of South East Queensland’s Koala Coast. EnviroCom planned and hosted the facilitation and subsequently collated and analysed the data for presentation to Council in written and verbal form. A targeted waste education strategy and communication plan, designed to maximise resident participation in new kerbside waste services was developed on behalf of the Burdekin Shire Council. Initiatives associated with the strategy included, development and distribution of information kits to all residents; targeted classroom presentations and associated school resources; coordination of competitions; development and implementation of newspaper and radio advertising; design and production of public place displays for events, customer service centres and libraries and the development of web support resources. On the ground activities included outreach programs delivered by EnviroCom educators in schools and at community events.